Want to see your ministry thrive? Make sure to save the date, May 17-18, for Annual Conference 2019. Don’t miss this opportunity to share stories, encouragement, and connect with friends from across the Free Methodist Church in Southern California. 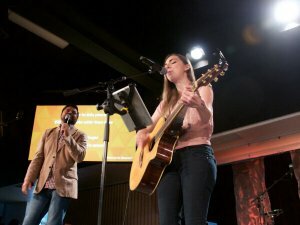 Each day, experience inspirational worship. Be part of shaping the FMCSC through business sessions and develop your skills through ministry-focused workshops. And don’t forget that Friday night at Annual Conference is when we celebrate the ordination of our new Elders and thank God for his continued guidance in the work we share throughout the Church. So mark your calendar and share this with your local ministry partners and church family.